If you’re unable to get t o your neighborhood markets during the week or are frustrated with the quality of produce at your grocery store, signing up for a produce basket is an easy, affordable option for getting your weekly fruits and vegetables. A produce basket is an even better option if you’re interested in getting organic, local sourced produce that’s in season. There are several online companies that offer produce delivery services to the Ile de France, including residents of Paris’s twenty arrondissements. While many companies provide similar products, they differ in the size of baskets offered, price, subscription options, organic versus non-organic, and delivery method. Depending on your needs, you may also decide to go with a company that does more than just fruits and vegetables. A handful of the companies listed below also sell specialty items, just as cheese, meat, and even oysters! 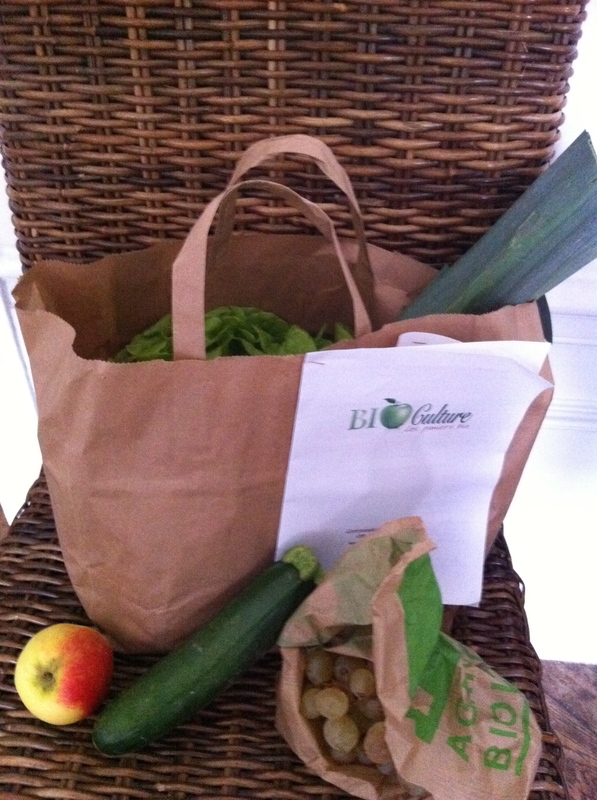 Once you choose the company you’d like to use, signing up online for a weekly basket is quite simple. You select the size and type of basket you’d like (fruits, vegetables, mixed), the duration of your subscription (with options ranging from one time to one year), your delivery method, and finally you pay for your purchase. The companies will bring the basket to your home or office for a fee or you can choose to pick it up from a point relais on a specific day between set hours. The pick-up points are typically small stores, such as a local organic markets or health food boutiques. Most companies have more than one pick-up point in Paris and there’s often at least one per arrondissement. For example, Bio Culture delivers its customers’ baskets to a handful of pick-up points on Monday, different pick-up points on Tuesday, etc. After picking up your basket, all that’s left to do is whip up a delicious meal using the fresh ingredients! Time constraints on grocery shopping, a desire to eat seasonal food, or a commitment to buy local are just a few of the reasons produce baskets are an appealing option to Paris residents. The vocabulary list below makes it especially easy for Anglophones to navigate the ordering process and take advantage of this alternative shopping opportunity. In the past, breaking a sweat on the sidewalk or having to sidestep merde may have deterred people from running in Paris, but the Parisian running scene is as vibrant as in any major city. For those just getting into running or seasoned runners itching for a race, here’s our guide to running in Paris. Early morning and late evening are when you’ll see the most runners, but runners are out and about all times of day. 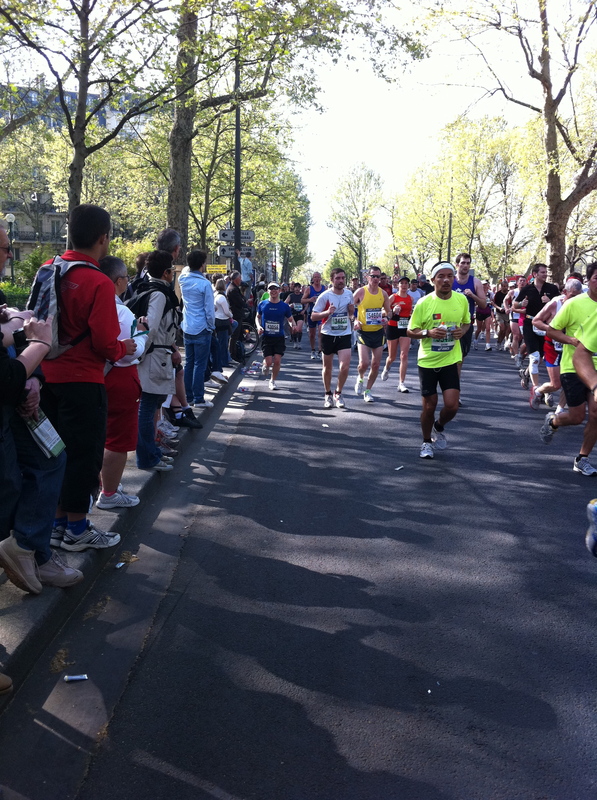 During the lunch hour you’ll see men and women of all ages doing laps around the Champ de Mars. But if you prefer to have peace, quiet, and empty sidewalks, then your best bet is to be on your way before 7AM. Any later and you’ll be sharing the streets with commuters heading to work and probably get a side eye from one or two. Despite Paris providing a relaxing, scenic atmosphere for a morning jog, it seems after work hours draw a larger crowd. Parisians don’t appear to be an early to bed, early to rise kind of crew so you’ll see them squeezing in a run pre-dinner. No matter what time of day you run, it’s still important to be aware of your surroundings. Most neighborhoods in Paris are safe, but that doesn’t mean you won’t be a target. For French and non-French speakers alike it’s recommended your carry identification and a few bills (enough for an emergency taxi ride or metro ticket) with you. There are a few companies, such as Road ID, ICE ID, and MedIDs, where you can customize an ID bracelet. These are especially important if you have any sort of medical conditions or want medical personnel to know which languages you speak. Once you’ve worked out a time to throw on your sneaks, planning a running route in Paris has never been easier. Websites such as Map My Run, Walk Jog Run, Run Keeper, and Run Map allow you to search routes completed by other runners, use an interactive tool to map your own route, as well as keep track of your running statistics. Run the Planet and Running Routes also provide routes with commentary on directions and scenery. If hopping on the Internet isn’t your running style, it’s just as easy to head to one of Paris’s many parks or forge your own path through the city’s urban landscape. 1. Visit the race website and review the registration requirements. If you are not a member of an athletic association or do not have a current medical certificate, visit your general practitioner to get up-to-date medical clearance to run. French law requires all competitors to have a medical certificate from a doctor proving they are fit to race. 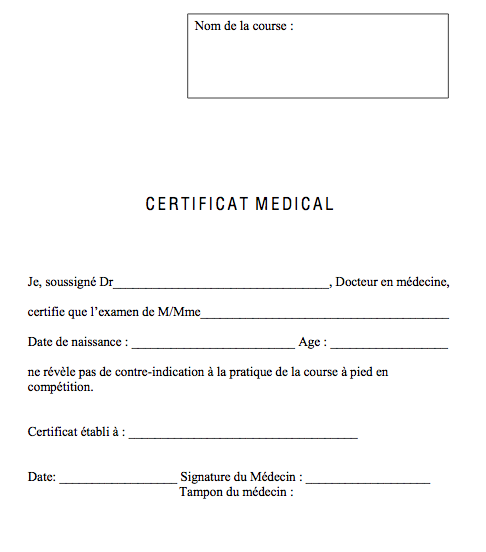 When you visit the doctor to get your certificate, he or she can write you the certificate or you can bring a form (usually downloadable from the race website) already filled out with the correct wording. Some race organizers are strict about the wording so be sure your doctor writes the correct thing! 2. Print out and complete a registration form OR complete the form online. 3. Pay the registration fee online OR write a check to mail in. 4. Mail in your completed registration form, a copy of your medical certificate, and registration fee OR submit your registration form with a electronic copy of your certificate attached. 5. All set! Within a few days you should receive confirmation of your registration. As the race date approaches you’ll get more information about how, when, and where to pick up your race number. If you’re looking for a race, Paris Running Tours and Agenda du Sportif have calendars with race dates.